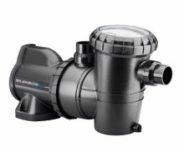 If you’re looking for the best quality pool pumps in Perth, then you’ve come to the right place! 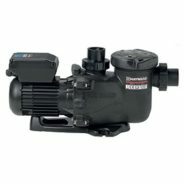 In fact, our selection of pool pump equipment is reliable and cost-effective. Contact us today. The pump acts like the heart of a pool’s circulation system: it pulls water from the pool through the skimmer and main drain, pushes it through the filter, and returns it to the pool through the main returns. It’s the key component in any pool but people often make the mistake of buying the incorrect pump – thinking that bigger is better. A pool pump that is too large can delay filtration and cause damage. It’s therefore very important to know the size of your pool before purchasing a pump. Consult with our team of experts before purchasing. Whether it’s information on pump repairs or pool filters, Perth pool owners know they can count on us to provide them with the best advice on equipment. A traditional and popular pool pump, the motor spins the impeller at only one speed according to the horsepower of the motor. It runs at a constant speed and is relatively inexpensive. This pump, as the name suggests, operates on two speeds: high and low. Variable speed pumps use a permanent magnet motor (like those used in electric cars). This is so you can set the flow rate at a speed that best suits your pool. Less motor friction equals more efficiency. Desired Flow Rate (GPM – Gallons Per Minute): This number is the number of gallons per minute your pump needs to pump in order to circulate your entire pool in eight hours. Resistance (Feet of Head): This number is the average length (in feet) it takes for your skimmer to reach your pump. If you have one skimmer on your in-ground pool, this will be the number. However, if you have multiple skimmers, you will need to find the average length of them all. 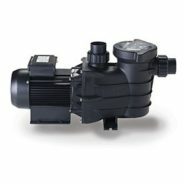 We supply pool pumps from quality brands and we have the most comprehensive selections of pool parts in WA. We have access to a broad range of suppliers and manufacturers, which means if we don’t have the product or pool part you require in stock, we can order it for you, promptly. Our stores are located in Leeming, Success, Rockingham, Mandurah, Baldivis and Warnbro. Contact us today for more information about our pool pump equipment.